Dries Van Thielen sends me notice of his interesting article on Molinari’s Failed Election of 1859. 3. that this dictatorship itself constitutes no more than a transition to the abolition of all classes and to a classless society. Federations will replace states; the loose but indissoluble chains of interest will replace the despotism of men and of laws; the tendency towards government, the first passion of the human race, will cede to the free community. The era of empire is over, the era of association begins. 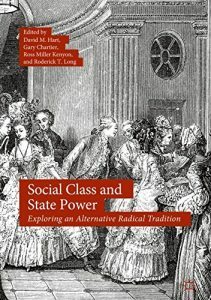 All this is by way of noting that I just received in the mail my author’s copy of Social Class and State Power: Exploring an Alternative Radical Tradition, an anthology of libertarian and classical liberal writings on class analysis that I co-edited with David Hart, Gary Chartier, and Ross Kenyon. and from the 20th century, Franz Oppenheimer, Albert J. Nock, Ludwig von Mises, Murray Rothbard, Roy Childs, Walter Grinder, John Hagel, Hans Hoppe, and your humble correspondent. I would urge you to go out and buy a copy; but in light of the book’s $100 pricetag, I’ll just urge you to go out and suggest to your local research library that they buy a copy. According to the publisher, I’m only allowed to make 25 hard copies of the chapter – but I’m also allowed to post a copy online, so long as it’s on my personal website. That seems to me a bit like saying “No smoking allowed in this room, but it’s okay to set the bed on fire.” But okay, here’s a link to the chapter. 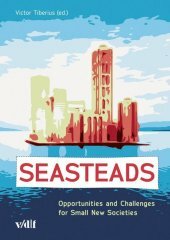 I also have a chapter on “Minarchism on Seasteads” in Victor Tiberius, ed., Seasteads: Opportunities and Challenges for Small New Societies (Zurich: VDF, 2017). I explore options for constraining a seastead minarchy (essentially by incorporating as many anarchist features as possible; those who remember my articles from the FNF/LNF days will find my proposals familiar). Here’s the link. 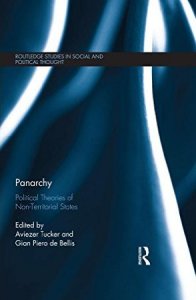 A new anthology titled Panarchy: Political Theories of Non-Territorial States, edited by Aviezer Tucker and Gian Piero de Bellis, has been released by Routledge. The concept of panarchy comes from an 1860 work of that title by the Belgian botanist and political economist Paul Émile de Puydt (1810-1891). The essence of his panarchist proposal is that people should be free to choose the political regime under which they will live without having to relocate to a different territory. The new anthology assembles a number of sources, both historical and contemporary, developing this idea. Left-libertarians should be warned, however, about occasional passages that will make their jaws drop, such as Max Borders’ cheery assurance that “if police are cruising your neighborhood, you’ll benefit” (p. 174), or Michael Gibson’s equally cheery assurance that large corporations, despite their “visibly dictatorial” structure, are “not poorly behaved at all.” (p. 167) Perhaps these writers are from a parallel universe? Amazon currently lists the print edition of the book at over $100, and the Kindle edition at over $50. So I can’t in good conscience urge anyone to buy the volume. Urging you to recommend it to your local academic library is another matter, however. In what follows I address three more specific issues. 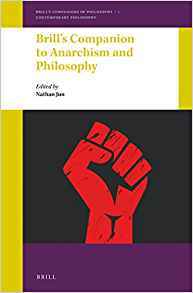 Is panarchism a form of anarchism? Certainly it’s often so regarded. De Puydt himself appears to have envisioned a monopoly apparatus administering the various social contracts, but more recent panarchists have generally dispensed with this element; and even de Puydt included “Proudhon’s anarchy” on the list of political options among which citizens could choose (though how the nonexistence of the monopoly apparatus could be one of the options offered by the monopoly apparatus is something of a mystery). More broadly, for Tucker anarchism and panarchism must be at odds, because panarchism allows people to “associate and dissociate with states voluntarily,” while anarchism “opposes the very existence of states.” (p. 12) For those accustomed to the Weberian definition of the state as a territorial monopoly of force, this might seem puzzling; if the political entities that panarchists advocate are not territorial monopolies, why call them “states,” or suppose that the anarchist rejection of states must apply to them? This is a fair point; but I’d want to make two caveats. First, while the Greek polis may not have been a territorial monopoly, it was certainly a monopoly (over a given population); and second, it always ended up in fact claiming and exercising jurisdiction over a particular territory. In both respects it resembles modern states in a way that competing panarchist regimes do not. In reply, Tucker would presumably point to the “division of power between the church, the king, and the vassals” in medieval Europe, as well as the “extra-territorial arrangements of mixed sovereignty … in the Ottoman and Chinese empires” (p. 149), as examples of (things we call) states that were not monopolies, territorial or otherwise. Again, a fair point; but I would still insist that these states they were much more like territorial monopolies than are the regimes that panarchists propose. People born into a medieval king’s territory often had a choice as to whether to use a royal court, a manorial court, an ecclesiastical court, or a merchant court, but for the most part they had no choice as to whether or not to be subject in general to the king’s authority. The Ottomans allowed Christians to be governed by Christian rather than Muslim law, but this was a grant of privilege from a territorial ruler who determined the content of the concession. And so on. In short, then, I would resist calling the panarchist’s political regimes “states”; and I have no problem regarding panarchism, at least in its modern form, as a species of anarchism. The contributors to the volume identify a number of historical precursors to their ideas. One is de Puydt’s countryman Gustave de Molinari, whose 1849 proposal for competing security agencies is included; another is the anarchist historian Max Nettlau, whose 1909 essay on the subject is also included. Another example, a surprise to me, is Moritz Schlick, the founder of logical positivism. (p. 12) Sadly, his work on the subject – unfinished since, as Tucker rather euphemistically puts it, Schlick “died prematurely” (he was shot by a disgruntled student) – is not included. The idea of individual secession was revived independently by Herbert Spencer in his 1850 Social Statics, specifically in his chapter “The Right to Ignore the State” – though while he allows citizens to sever relations with their former state without a change of territory, he does not envision the possibility of their signing up with a competing service provider. (Tucker incidentally takes the side of Rozeff against his homonym on the question of inalienability, maintaining that “no man can make himself so much a slave as to forfeit the right to issue his own emancipation proclamation.”) Tucker’s disciple Stephen Byington agreed, pointing to the fact that in Kansas City, the state line “runs right through the edge of the city, among popular streets,” so that “[m]en who live on the same street are subject to different laws.” (Byington also mentions the exemptions for Christians in Muslim countries.) Another Tucker disciple, Francis Tandy, held similar views. There is one objection to panarchism that I suspect will be widely raised, especially by Rawlsian liberals, and I don’t think it gets much discussion in the book. That objection is that panarchism is economically unfair. 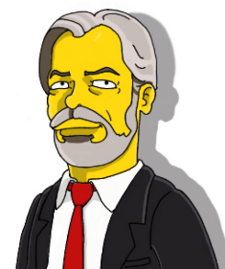 There are a number of different ways that a panarchist could respond to the Rawlsian liberal, but I suspect the most effective would be to show, along the lines that left-libertarians have suggested, that it’s precisely the absence of panarchy (or in other words, the presence of a monopoly state) that is chiefly responsible for the economic disparity with which the Rawlsian is concerned. However, this would require taking sides on issues that at least some panarchists seem to want to remain neutral on, such as the comparative merits of left-libertarian and right-libertarian economic analysis. My Reason review of Jacob Levy’s Rationalism, Pluralism, and Freedom, formerly behind a paywall, is now free online. Today’s the 13th anniversary of the Molinari Institute. Coming up in the next few months from our fledgling publishing program: my Foundations of Ethics lectures, some 19th-century libertarian classics, and the first issue of the Molinari Review.